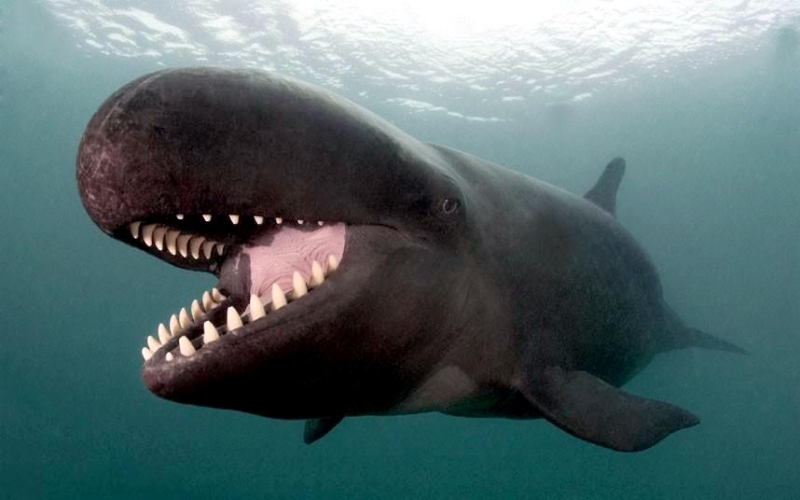 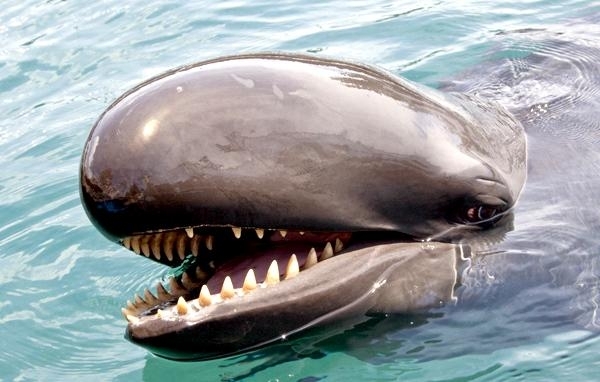 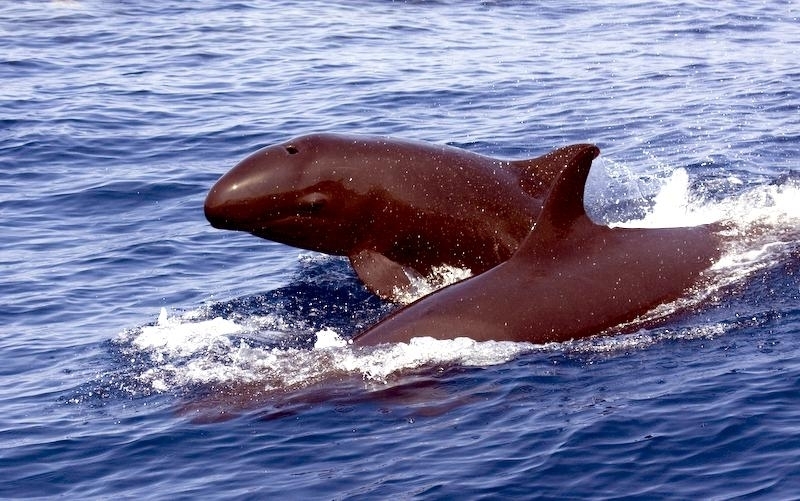 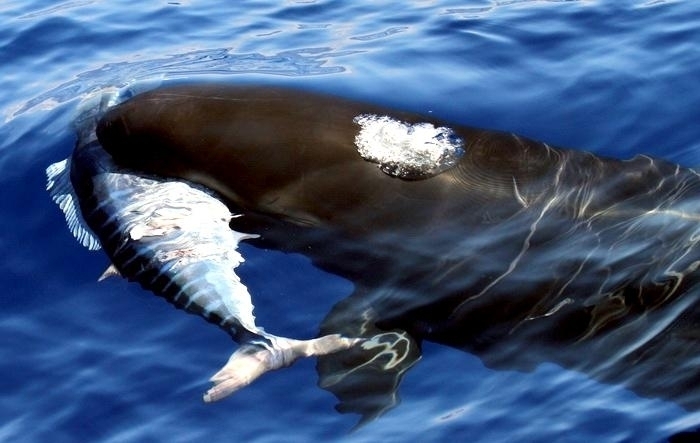 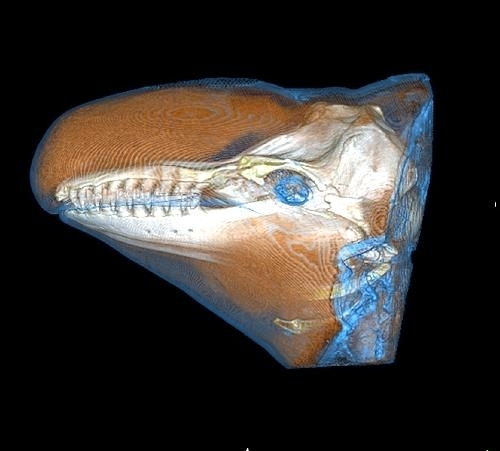 False Killer Whales receive their name for their resemblance to female Killer Whales. 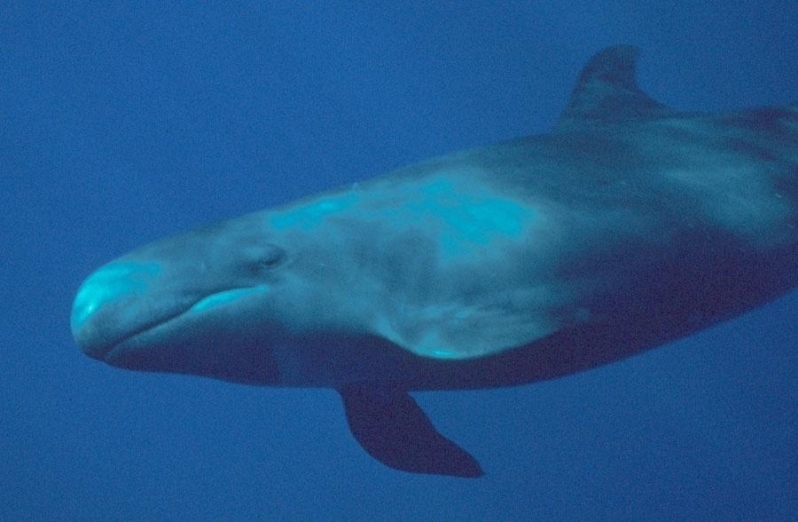 “Pseudes” in Greek means “false” and like its namesake, they are dolphins not whales and the fourth-largest member of the Delphinidae family. 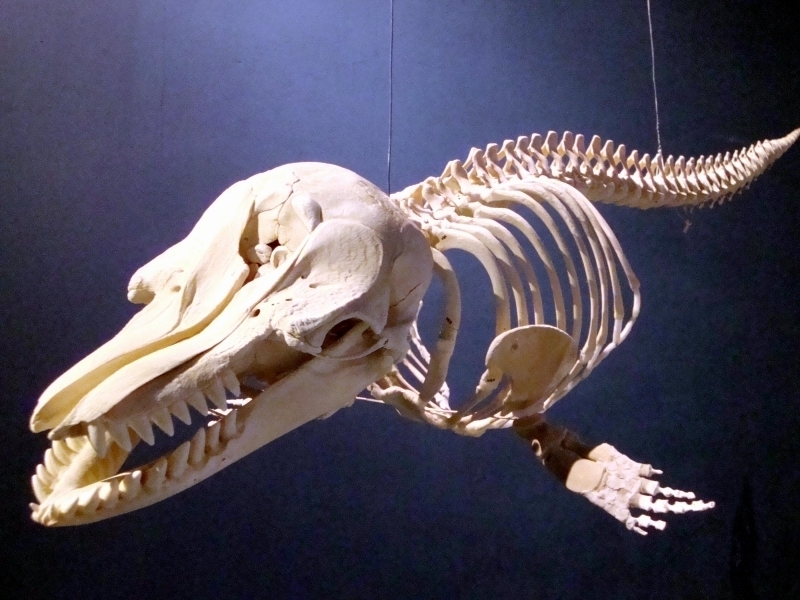 Adults measure between 4.3-5.96 meters and weigh a maximum of 1,360 kilograms. 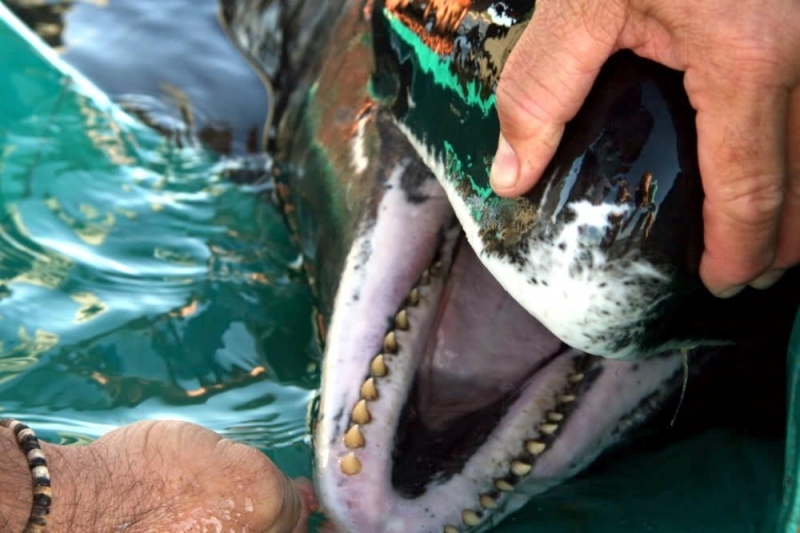 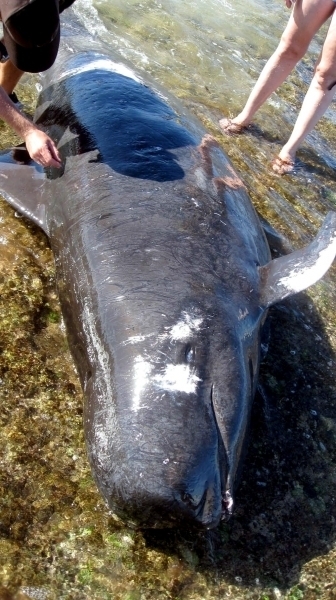 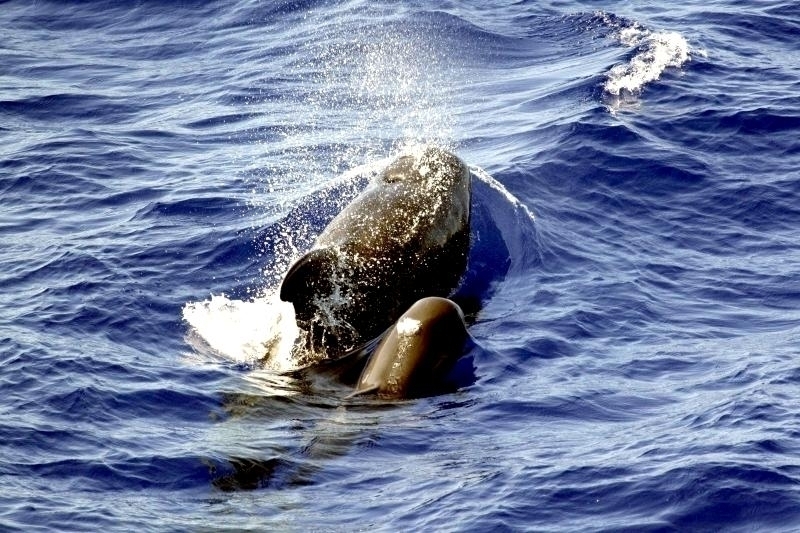 The longest adult male False Killer Whale on record measured 5.96 meters and the longest female False Killer Whale on record measured 5 meters. 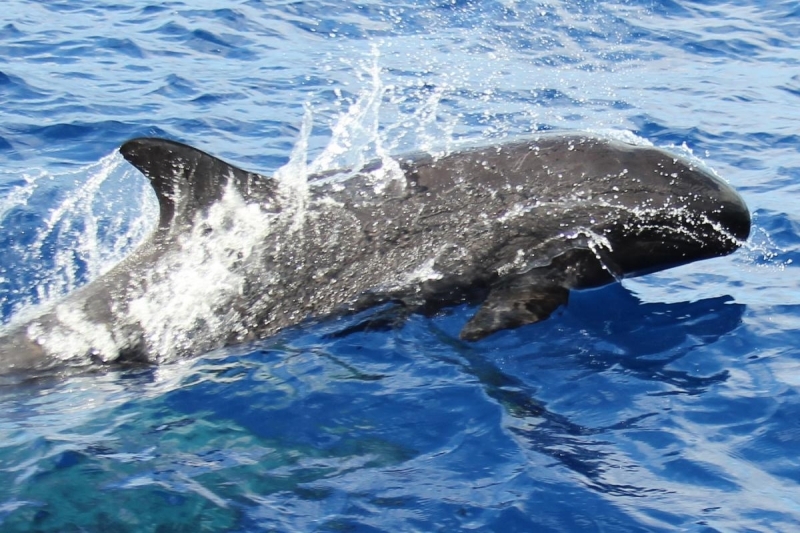 They are mostly black on the dorsal (upper) surface, fins, flanks & flippers with lighter coloring on the ventral (under) surface. 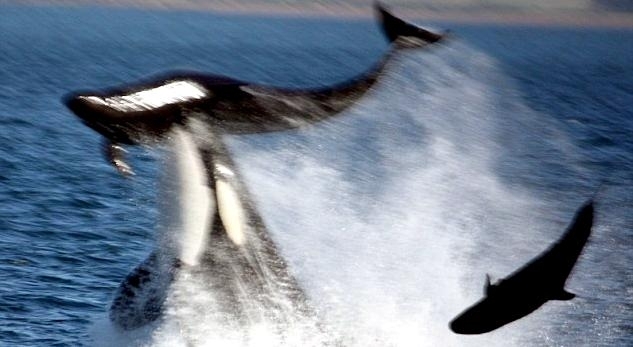 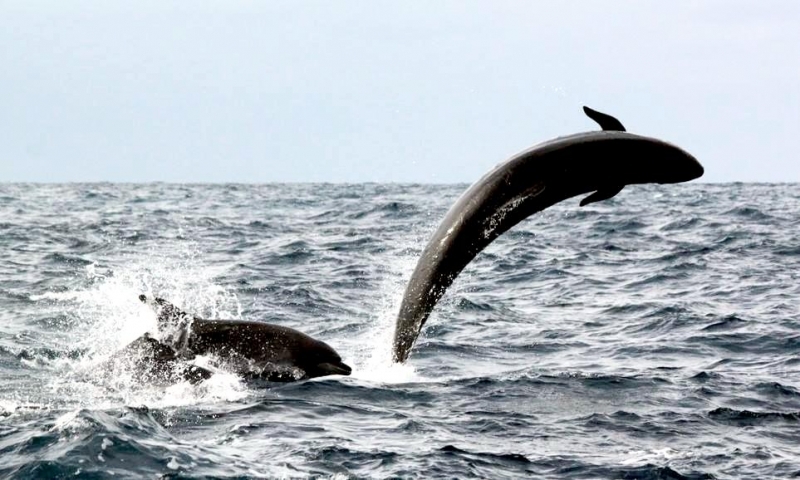 Their flippers are somewhat unusual in that they feature an “elbow” similar to that of Long-finned Pilot Whales. 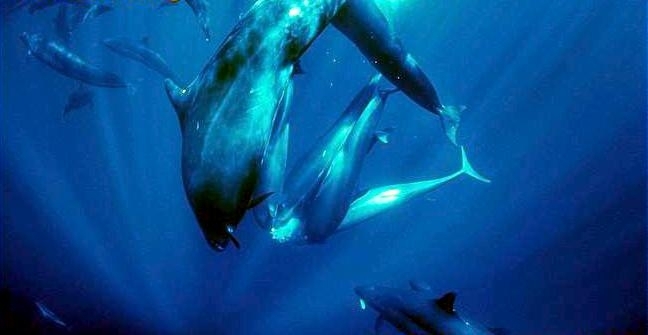 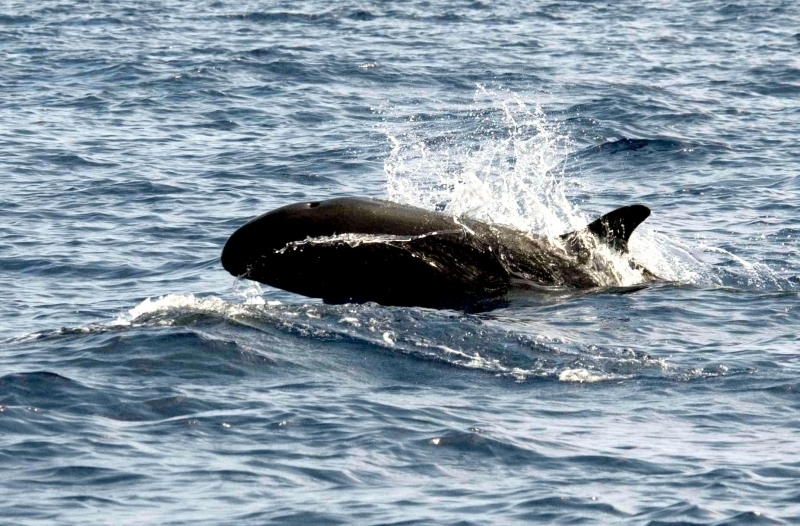 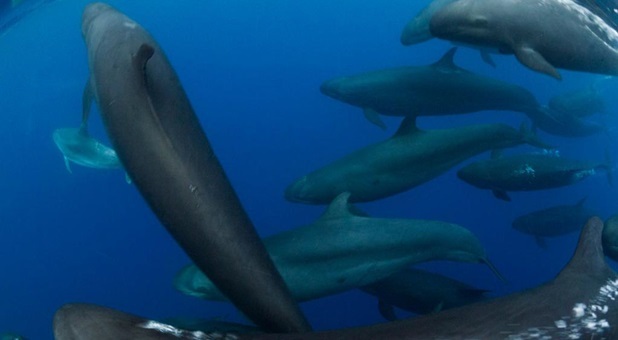 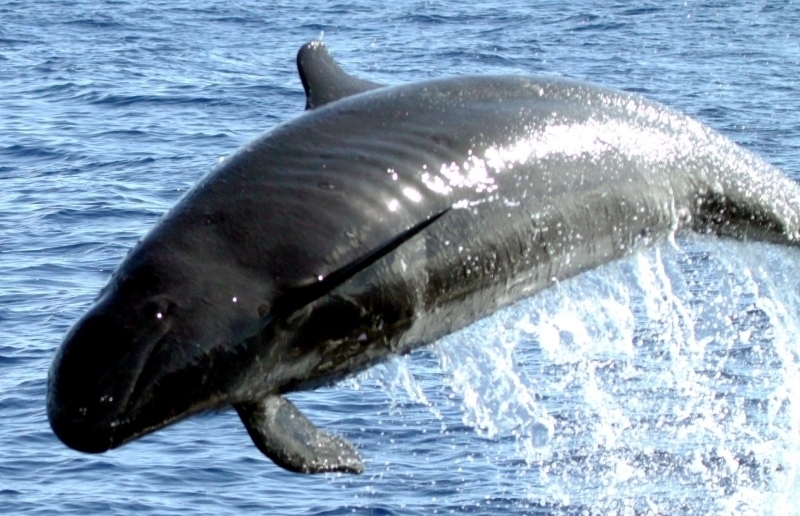 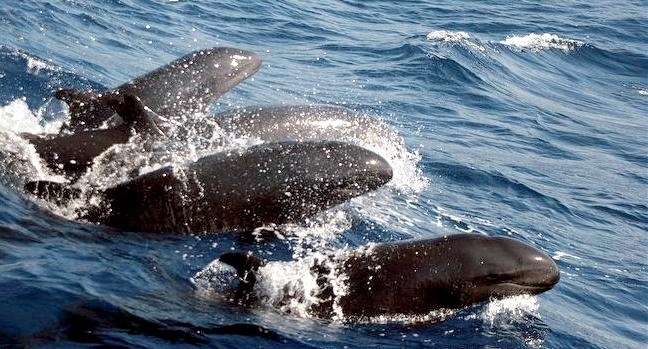 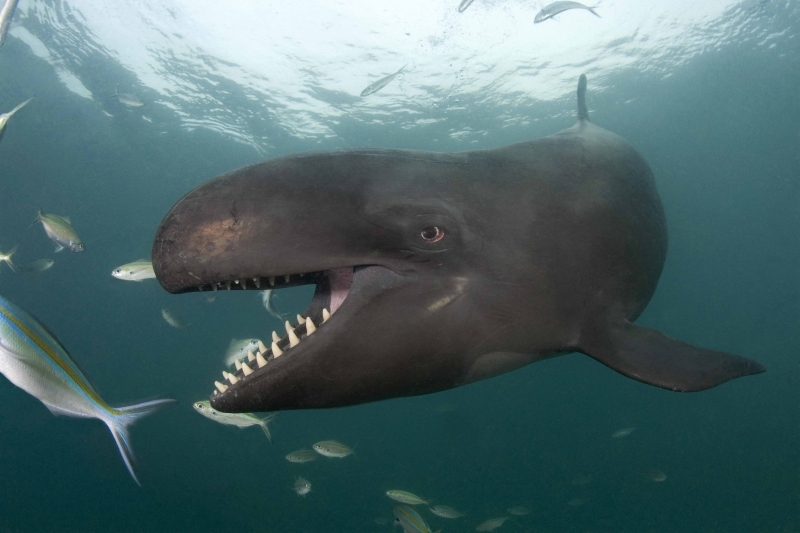 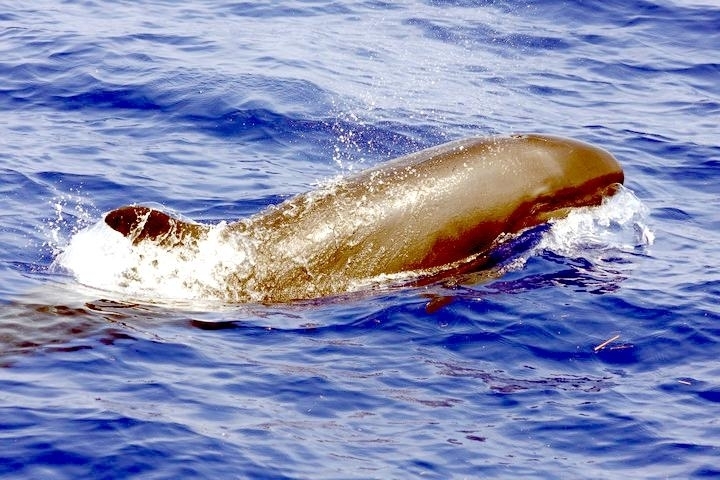 False Killer Whales are a very gregarious species often found in large pods of hundreds or more. 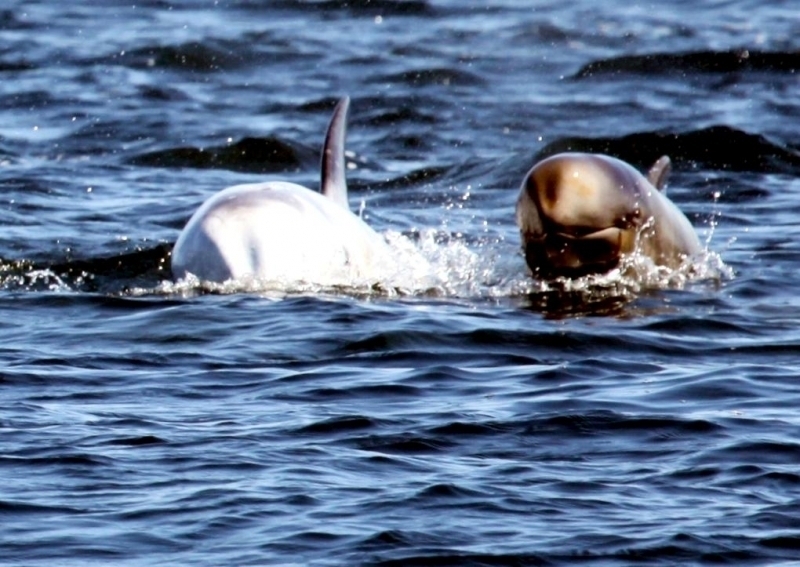 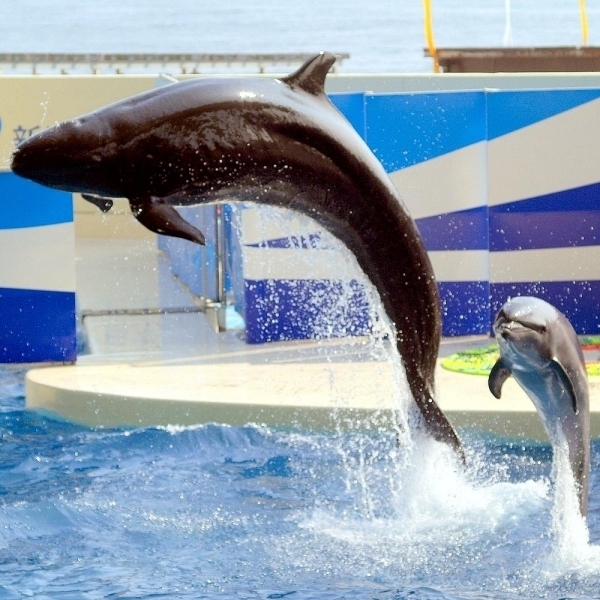 They also join other cetacean species, commonly Bottlenose Dolphins. 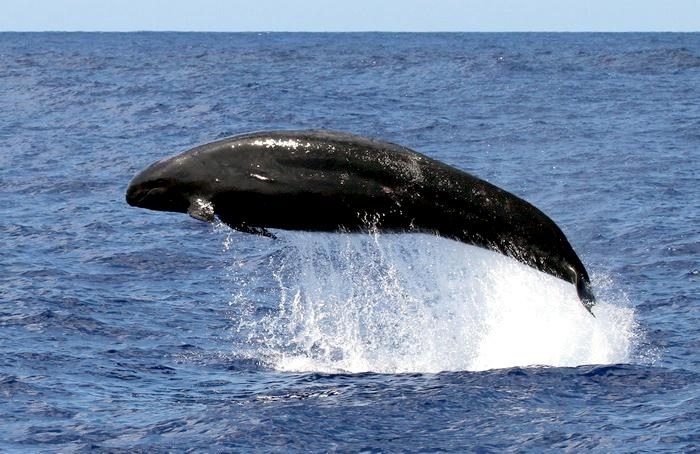 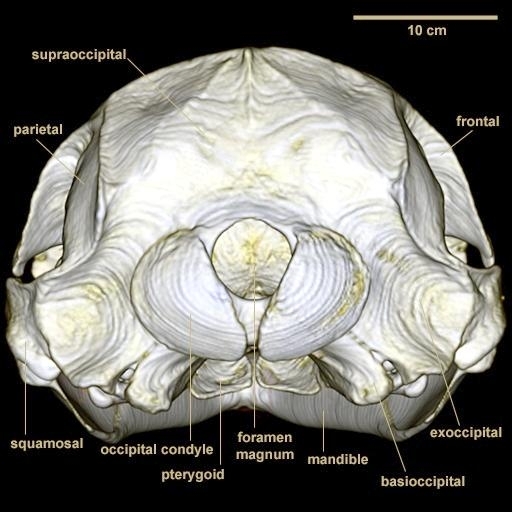 Their long lumbar vertebrae enable them to be active swimmers and they are known for their speed & agility as well as for their breaching behavior. 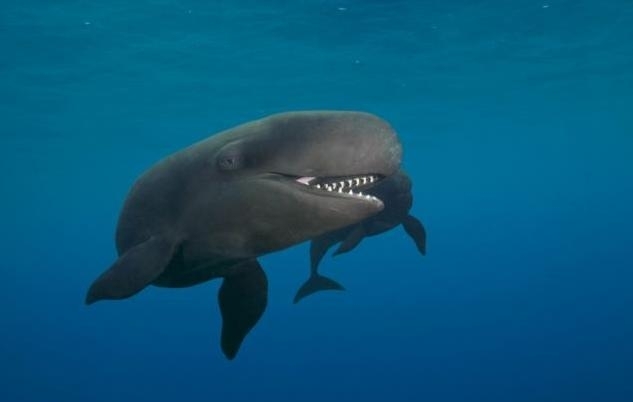 False Killer Whales use sounds or echolocation similar to those of dolphins for sonar and to communicate with each other. 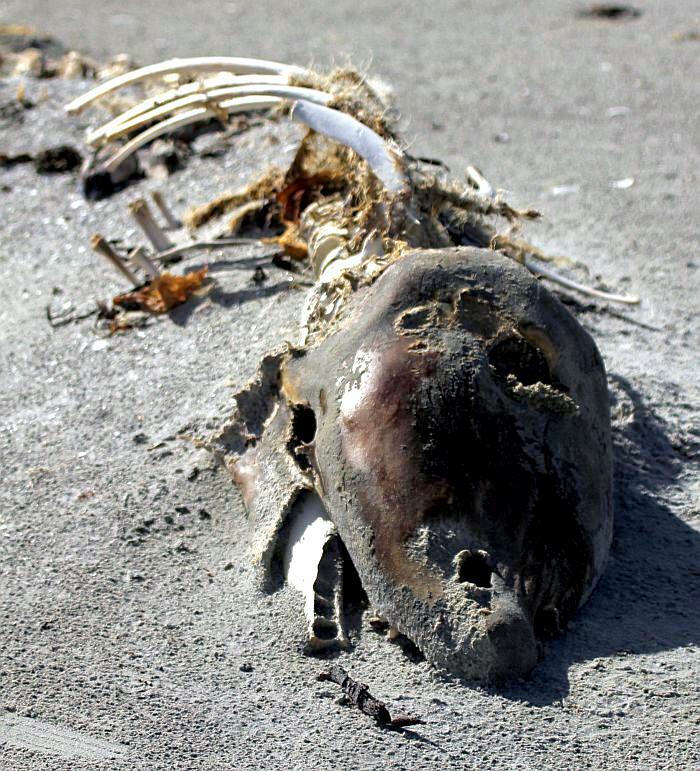 The average life span is estimated at 58 years for males and 62 years for females. 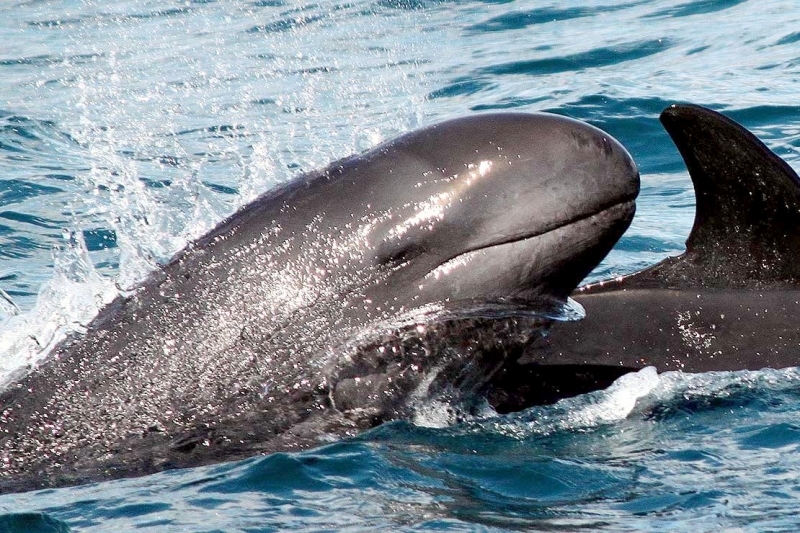 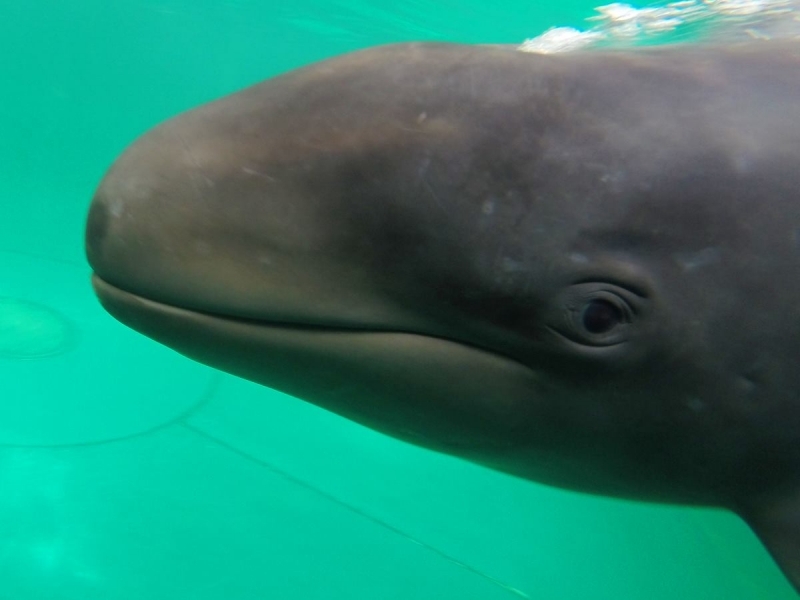 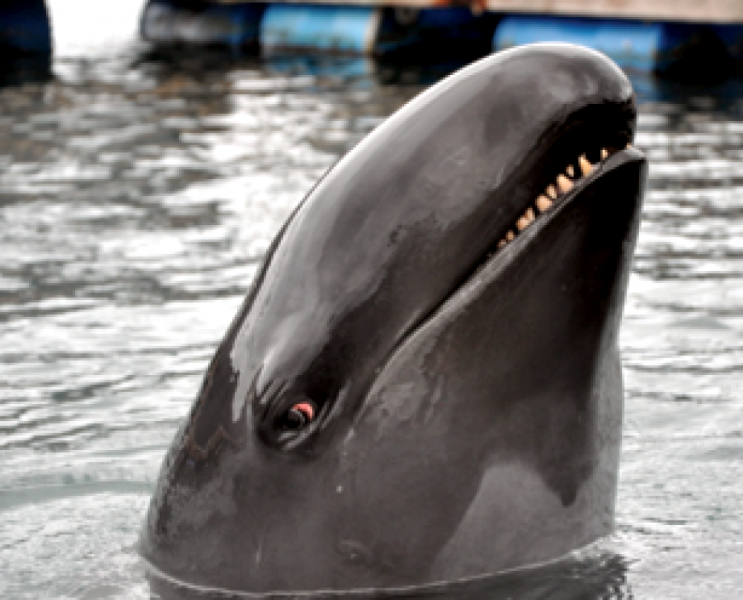 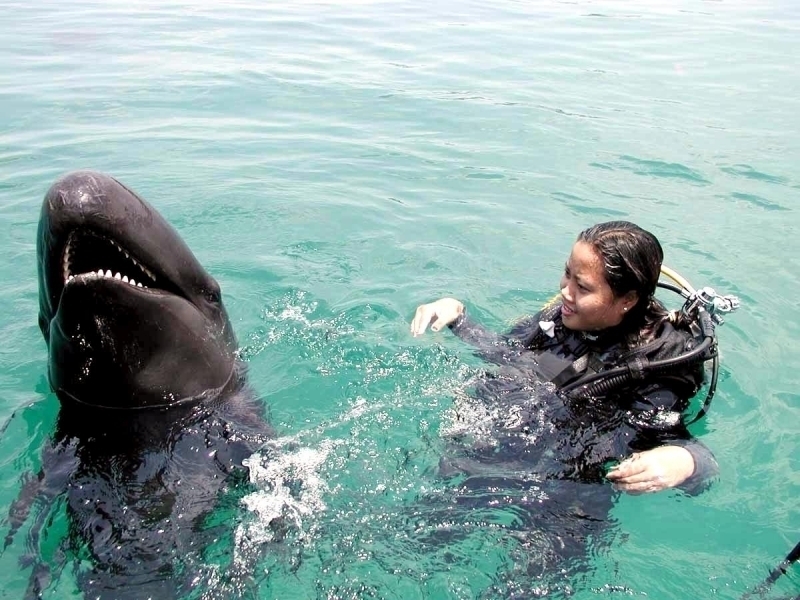 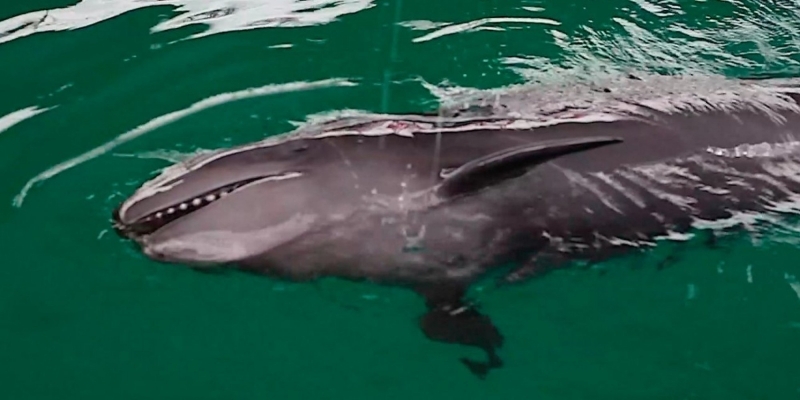 False Killer Whales are a wide-ranging species found in all tropical, subtropical & warm temperate oceans. 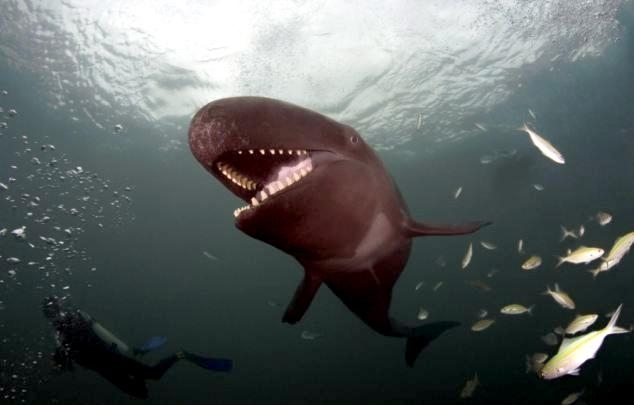 They are known to inhabit waters ranging in temperature from 9-31 °C although they prefer the warmer waters. 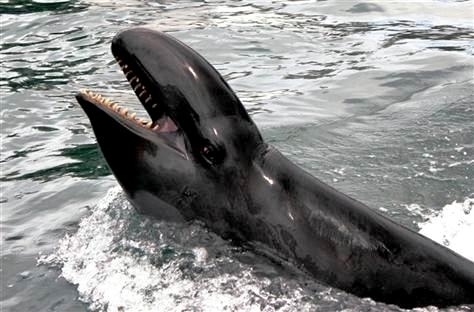 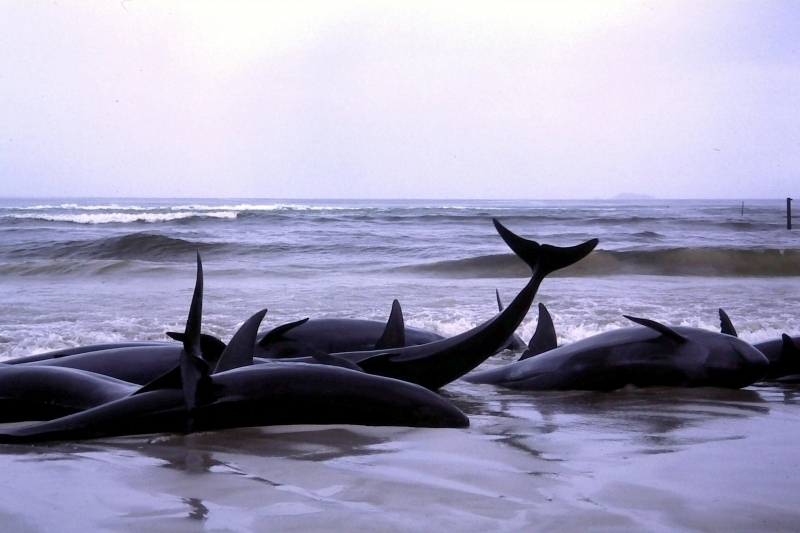 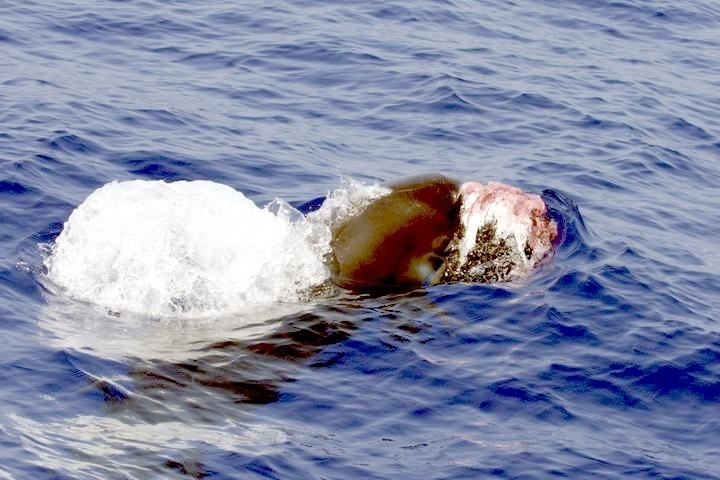 False Killer Whales are typically oceanic, coming closest to shore around oceanic islands. 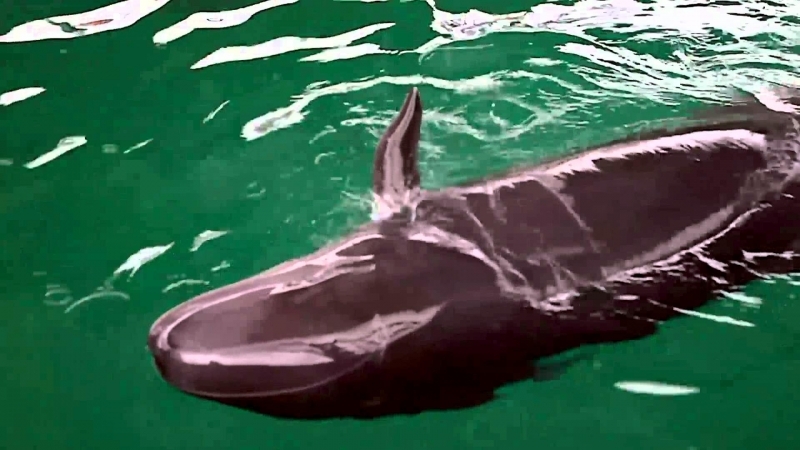 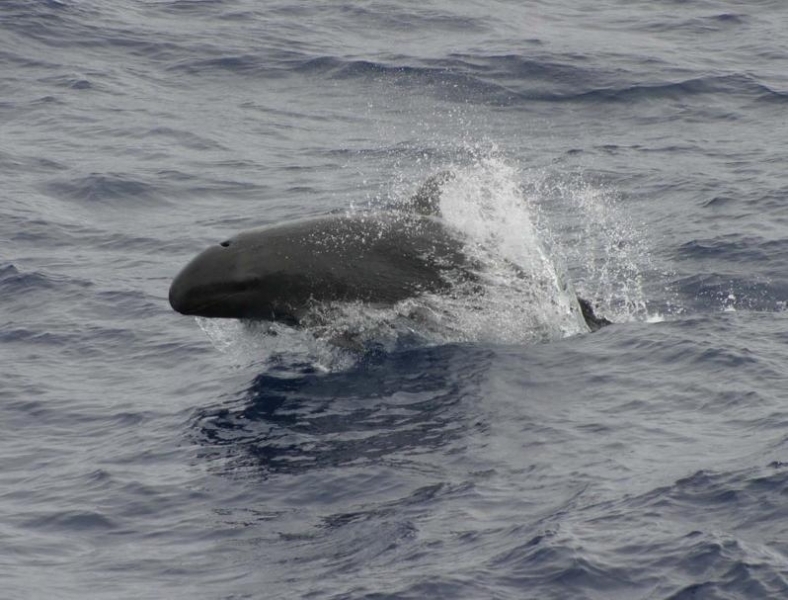 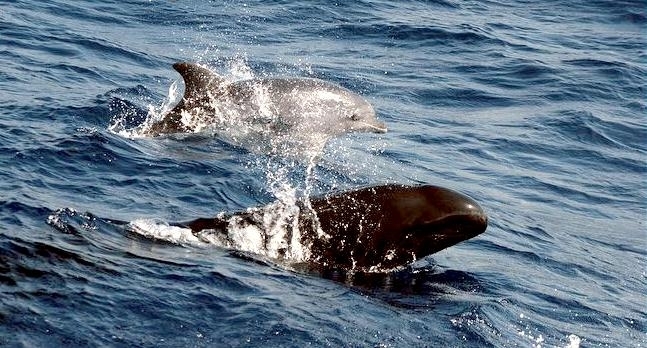 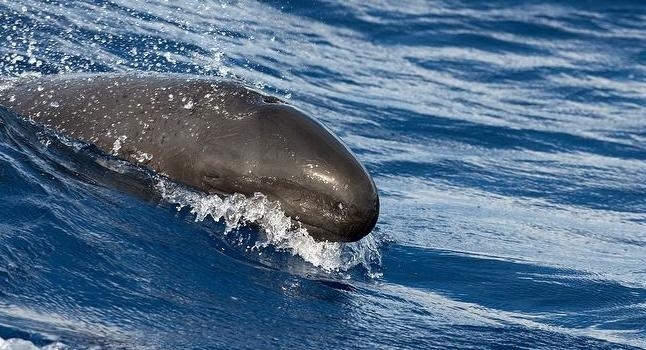 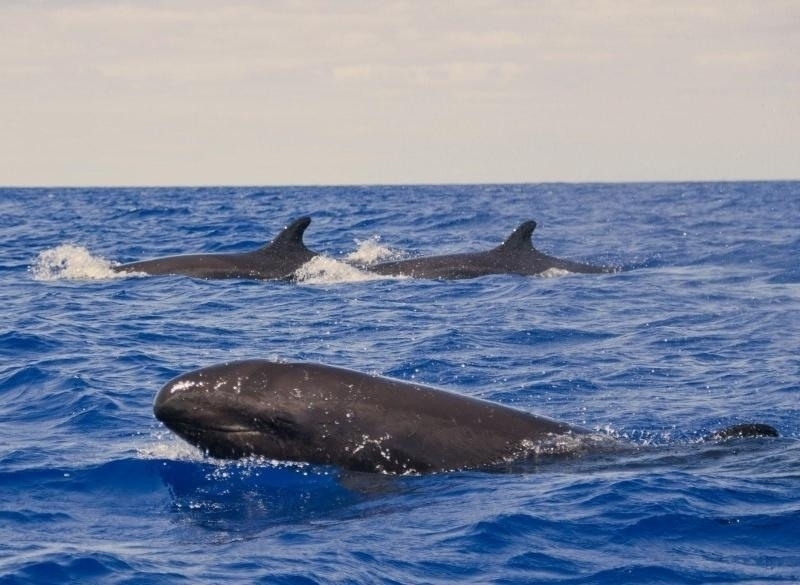 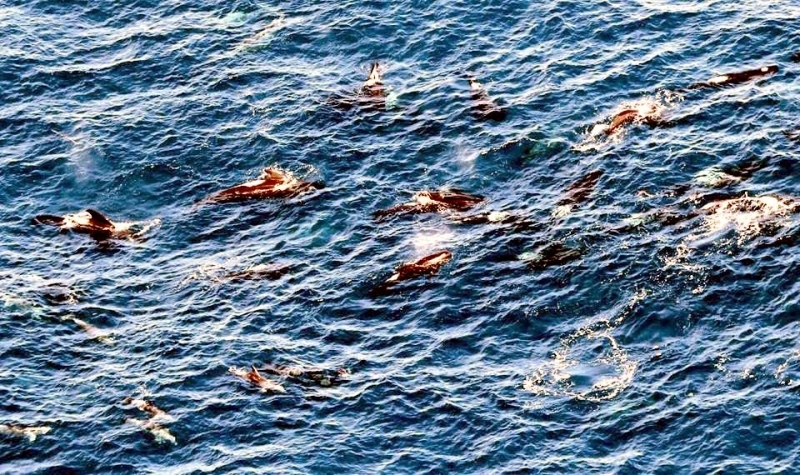 Little is known about the migratory patterns of False Killer Whales and no data exist at this time for global population figures though they are typically found in pods of 10-20 individuals which may be part of larger pod of hundreds of False Killer Whales spread over very large areas. 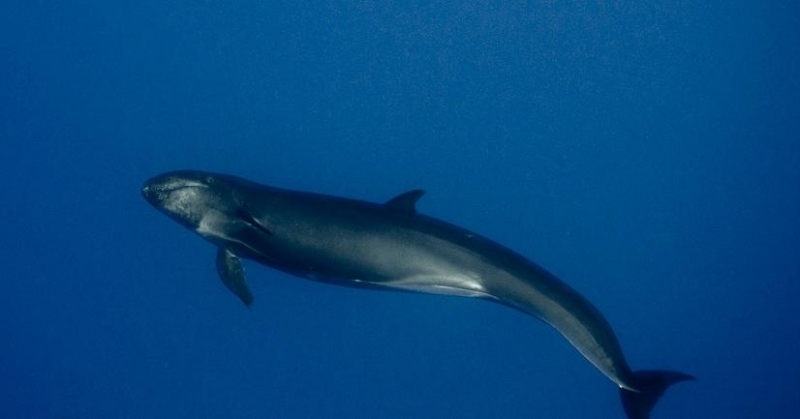 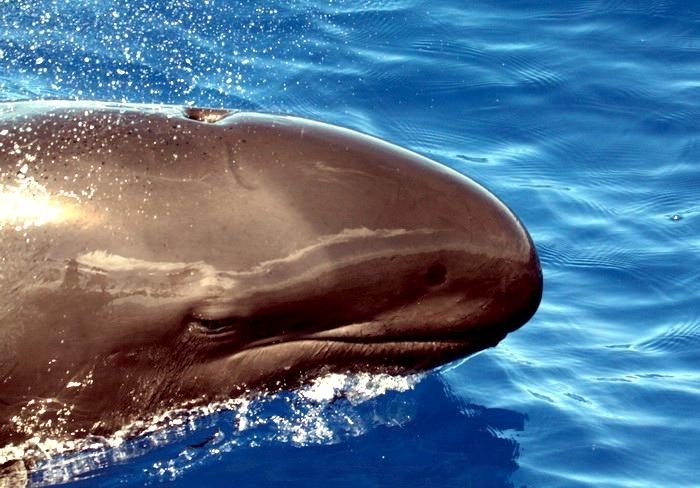 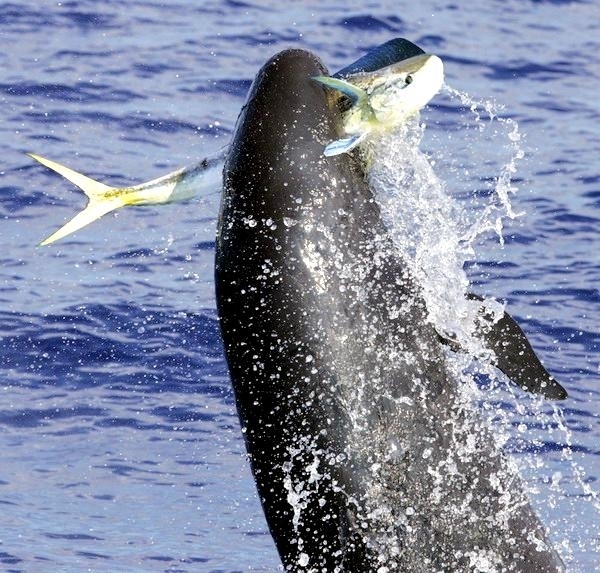 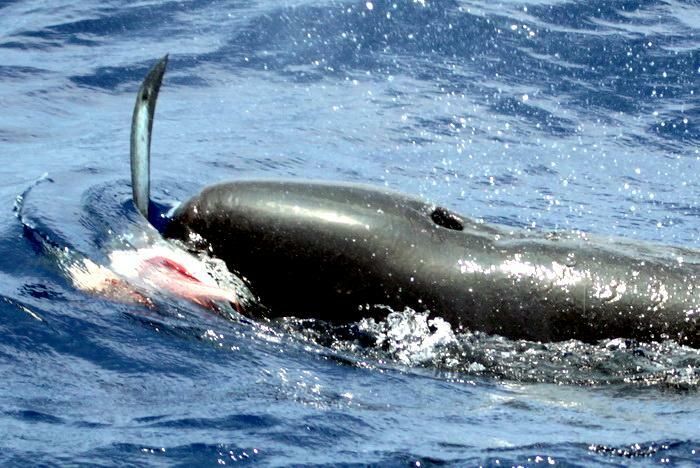 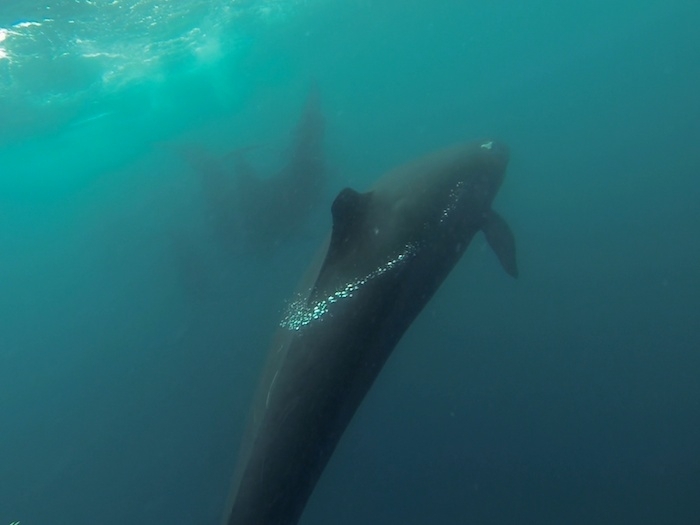 False Killer Whales feed mainly on squid & large pelagic fish mainly during the day, diving repeatedly to over 200 meters consuming up to 5% of their body weight. 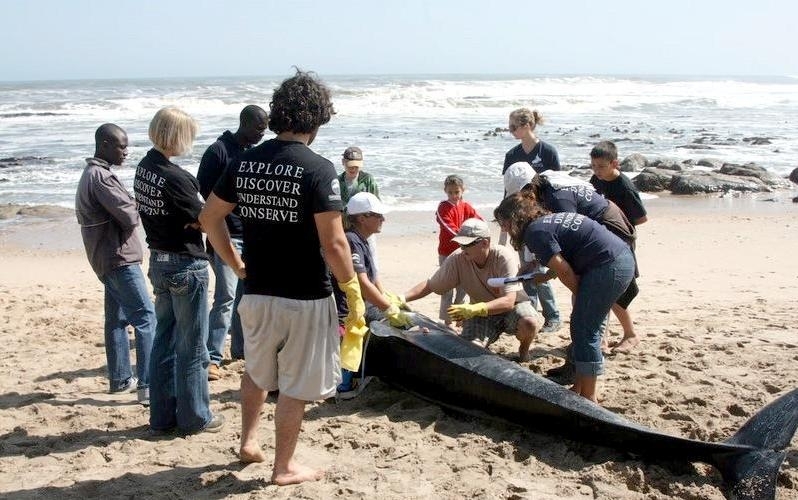 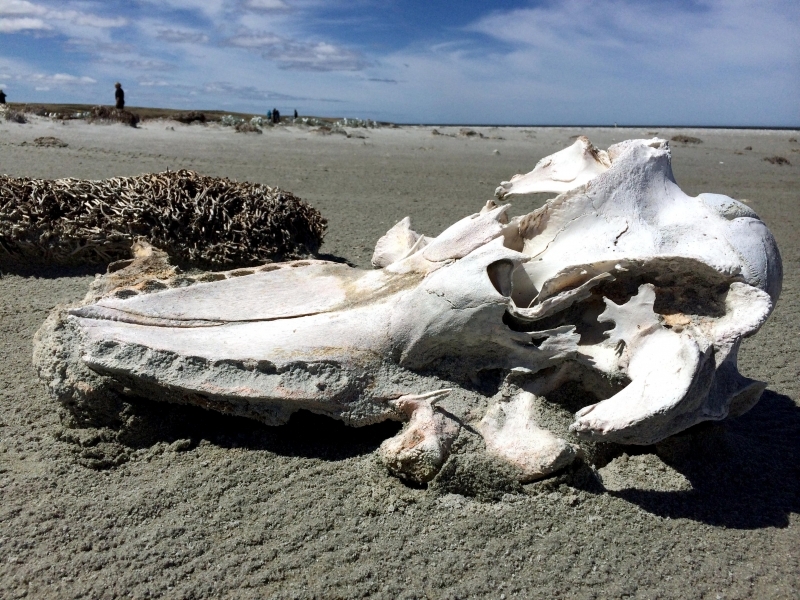 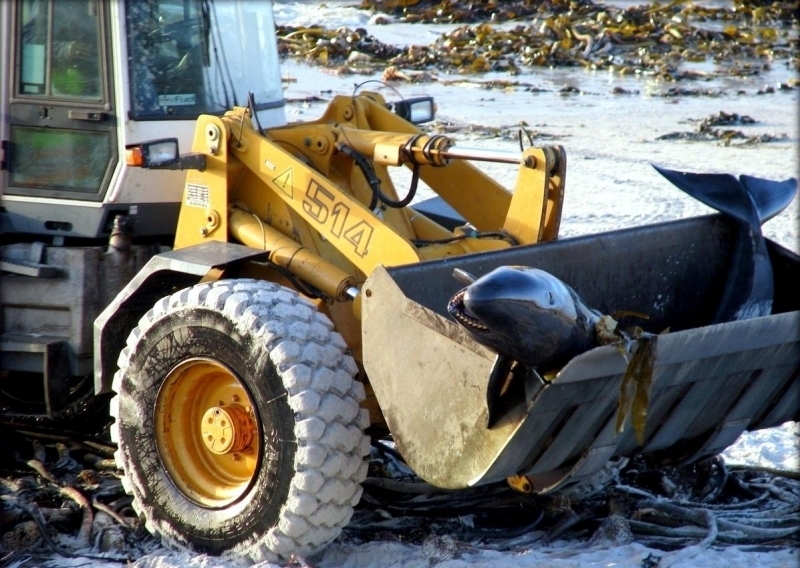 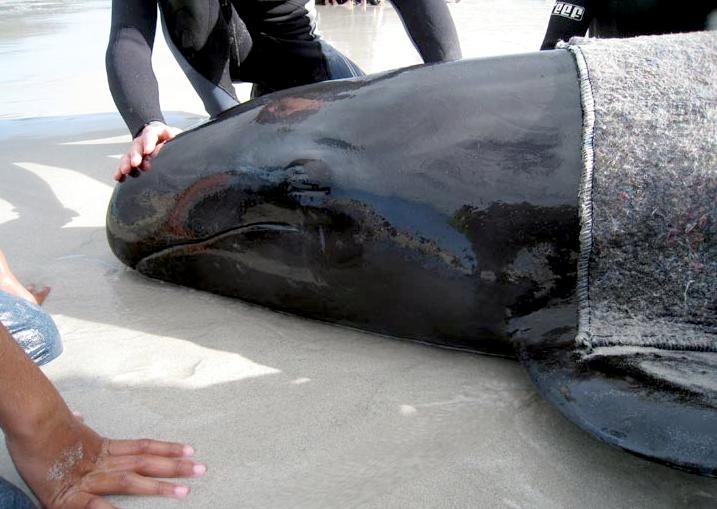 Cetacean diets are typically accessed by examining the stomach contents of stranded animals or fisheries by-catch animals. 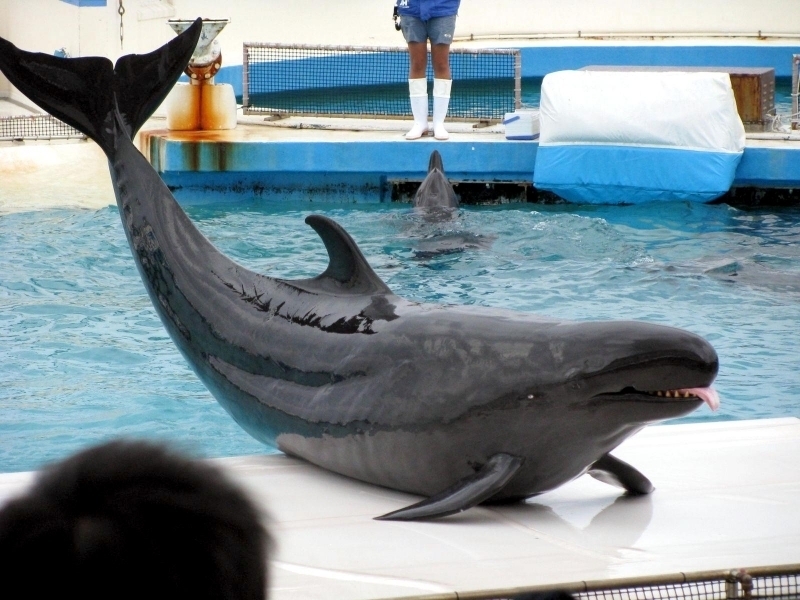 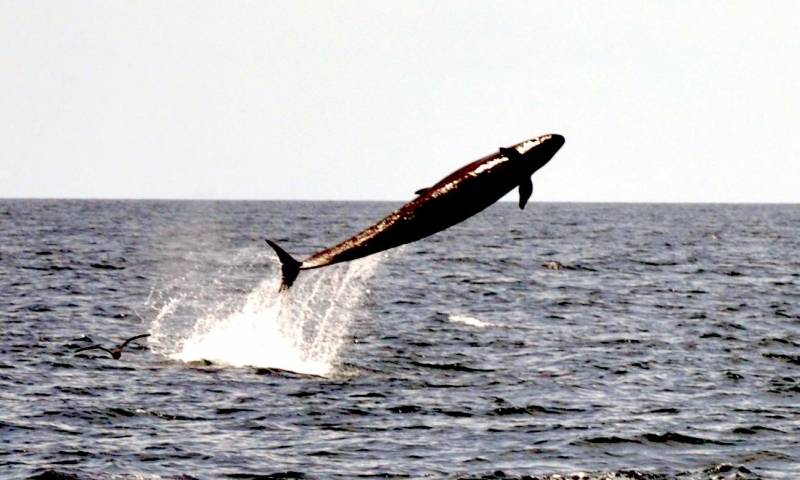 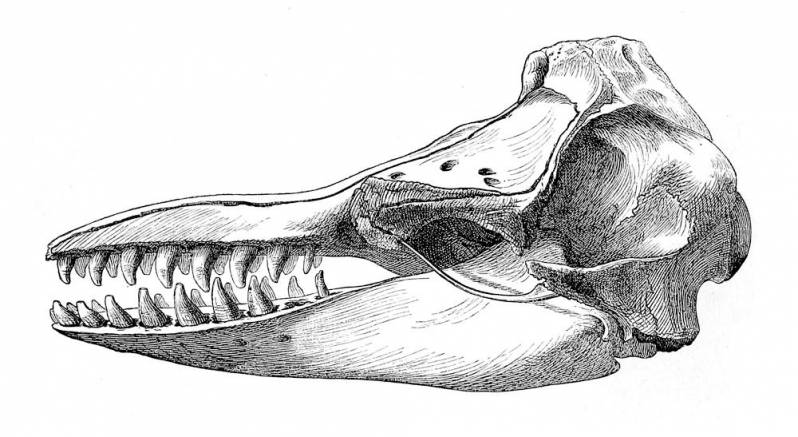 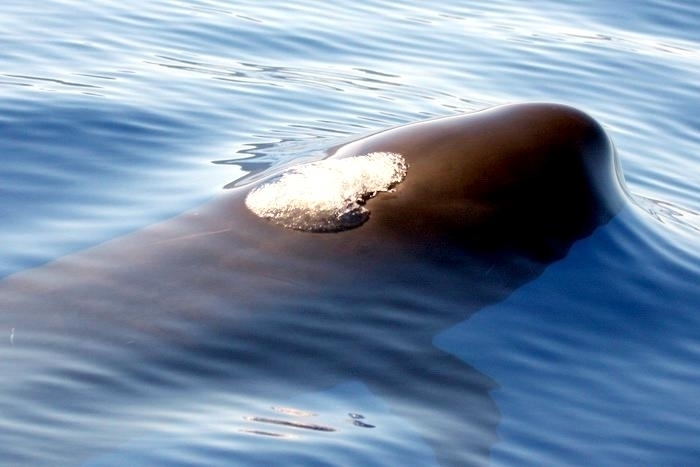 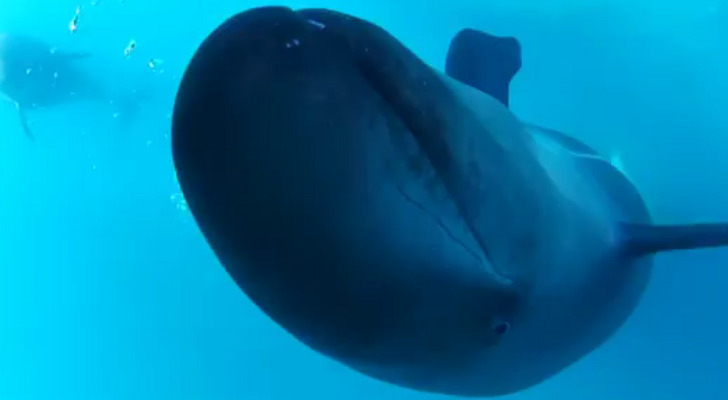 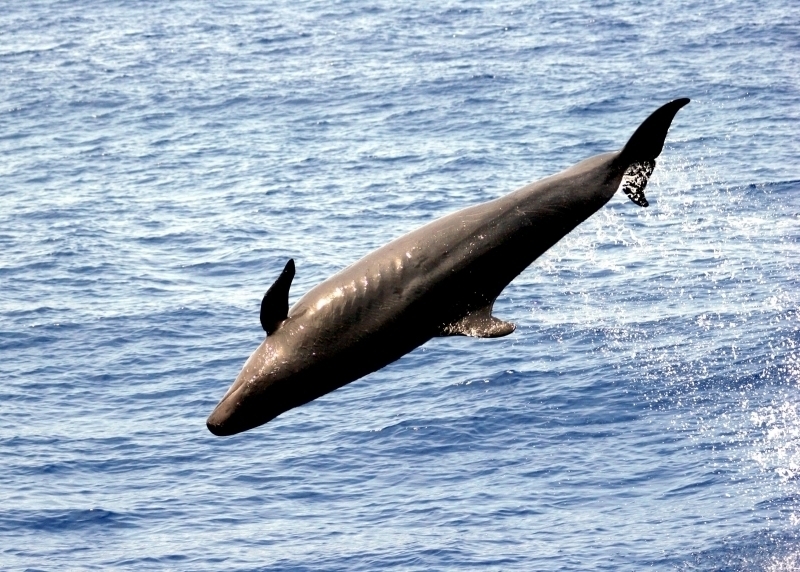 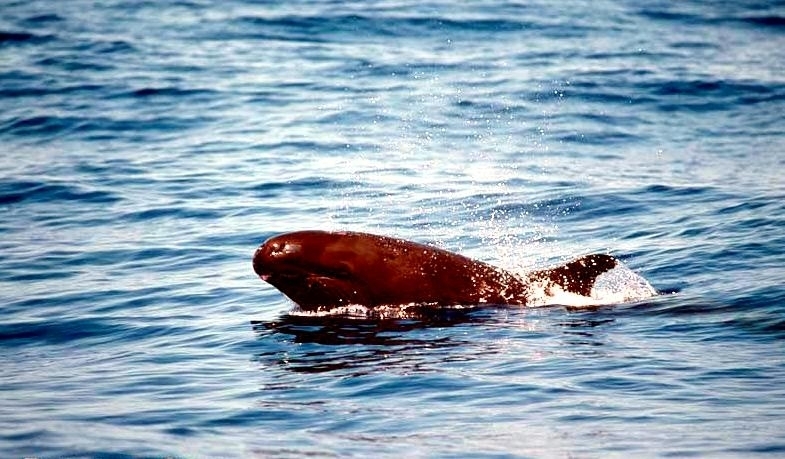 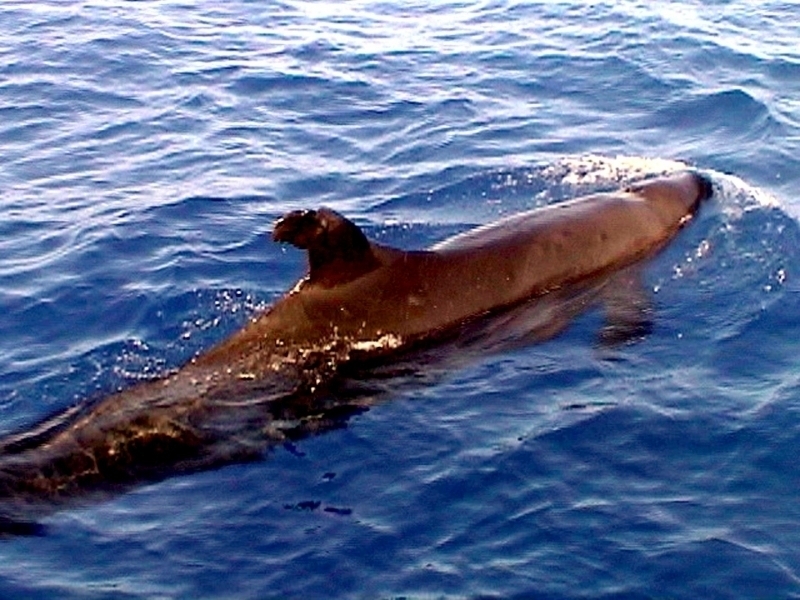 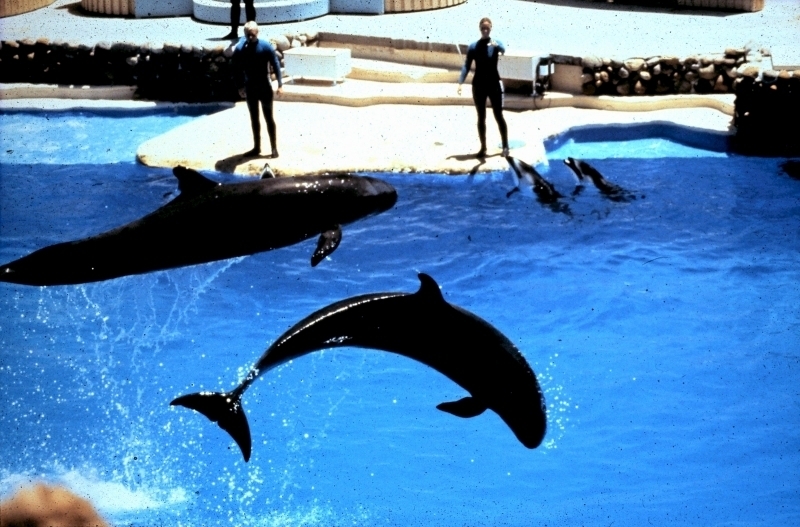 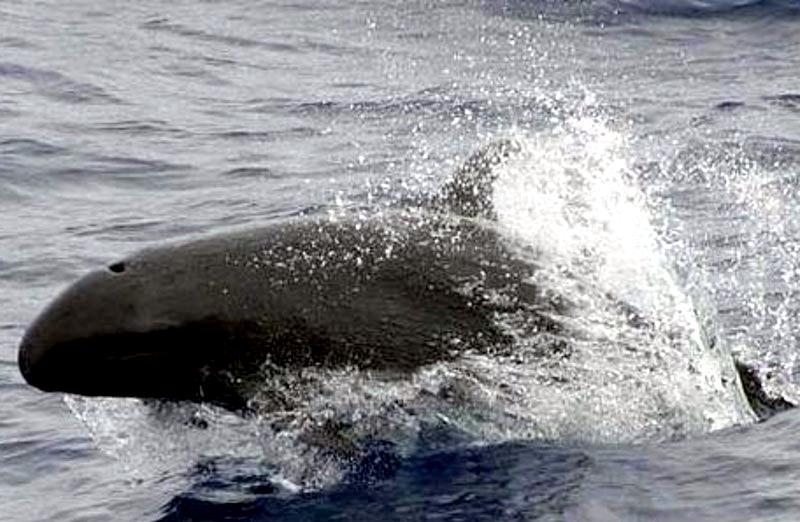 Generally, the life history of False Killer Whales is similar to that of Killer Whales; individuals mature slowly, reproduce infrequently and are long-lived. 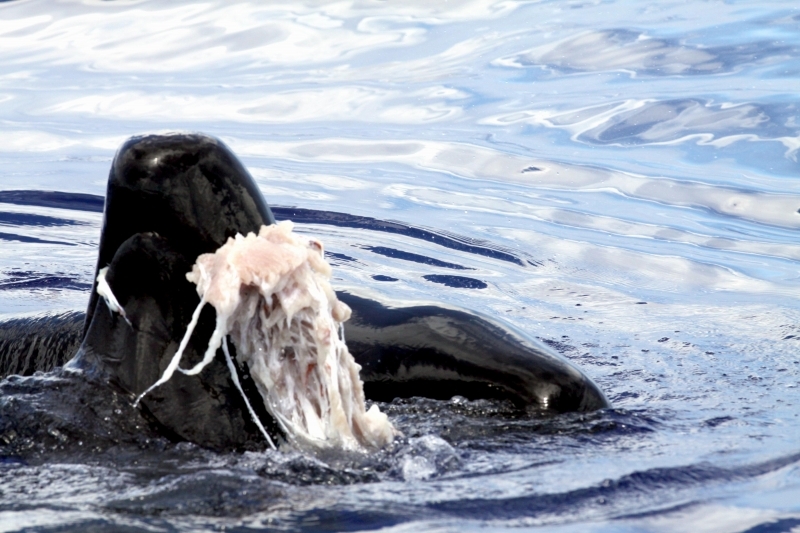 Females reach sexual maturity around 10 years (8.25 to 10.5 years), males much later at 18 years. 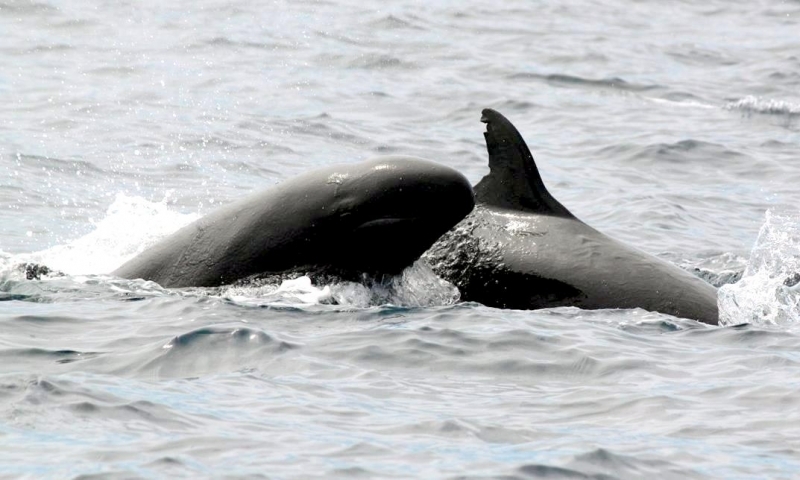 Females ovulate once annually giving birth to a single calf following a 15-month gestation period.